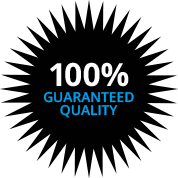 Kasper Electric is the only logical choice if you are looking for a licensed electrician in Palm Beach, Florida. We take a great deal of pride in the work that we do for our neighbors here in town, and we have deep roots in the community, so we take it personally. After all, when your name is on the company trucks, your reputation is on the line each and every day. The town that we live in is a manifestation of the vision of Henry Morrison Flagler. He identified the area as a tropical paradise that would lure tourists if it was appropriately developed, and as they say, the rest is history. We provide electrical services to all parts of town, from Town Center to the South Ocean Boulevard/ Regent Park area to Manana Lane and the North Ocean Boulevard section. Whenever you need a Palm Beach, FL electrician, will be standing by to help. Our commercial electrical services are a large part of our business, but we can also be of assistance whenever you need a residential electrician for any reason. 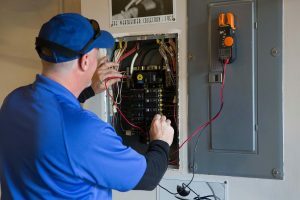 We can repair or upgrade fixtures, breaker boxes, ceiling fans, electrical outlets, switches, and any other electrical system that you may have in your place of residence. 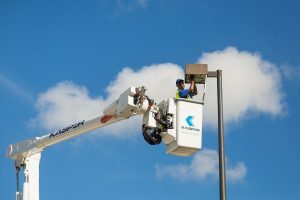 Plus, as a full-service Palm Beach, FL home electrician, our expertise extends into the area of landscape lighting and all different types of outdoor lighting, including poolside lighting. If you would like to discuss your needs with a Palm Beach, Florida electrician that you can rely on for top quality service at affordable prices, contact Kasper Electrical right now at 561-285-8036.